Advice: Counter service. Open daily. 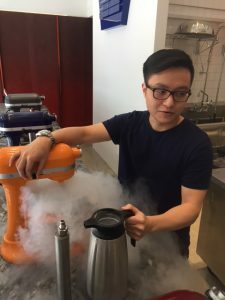 With it’s focus on nitro Ice cream, owners Michael Lai and Tommy Choi have turned a dream of using liquid nitrogen-churned artisanal ice cream into reality at this beautiful new Yaletown ice cream parlour. The ice cream is made fresh to order, in-house from scratch, using pure, all-natural ingredients. 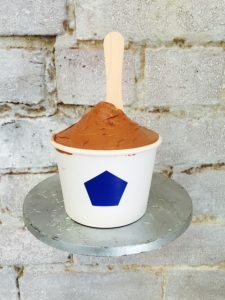 Liquid nitrogen freezes ingredients rapidly, while stand mixers churn, turning the flavour mixtures into ice cream in less than one minute before customers’ eyes. The fast freezing, and freshness of the ice cream results in a denser, smoother and creamier scoop. 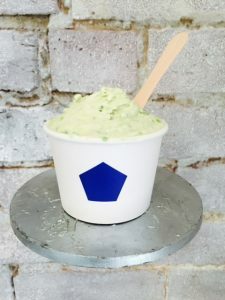 I have tried all of their flavours currently on offer, the unique Avocado is a creamy blend with fresh avocado bits; the Lemon Frozen Yogurt, was refreshing, made with yogurt and cream cheese. 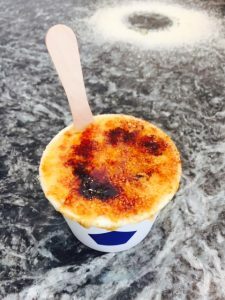 My two favourite flavours were the Crème Brûlée featuring vanilla bean, frozen custard and hand-torched crackled caramel top; along with the smooth and creamy Dark Chocolate. Mister will feature unique flavours, rotating regularly depending on season and customer demand. There will also be fresh-made pints available for carry-out, with plans to introduce ice cream sandwiches and other special items through the summer. Prices start at $6 per cup and take-home pints from $10 (including $1 deposit, with a recycling program for pint jars in-store). Their flavours were natural and tasted great, this is an ice cream shop you are going to want to visit time and time again.